Ancient Persian New Year, Noruz falls on the spring equinox, around March 21st, on the Gregorian (western) calendar. Noruz is based on solar calendar which is the direct descendant of the Zoroastrian calendars of pre-Islamic Persia. This calendar has 365 days divided into 12 months The start of this calendar is from the first day of spring. To convert this calendar to approximate date in Gregorian calendar simply add 621 to the Iranian year. 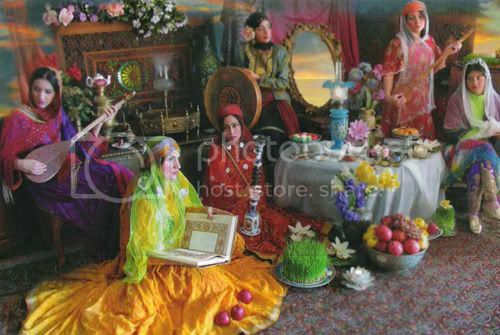 The observance of Noruz leans heavily on the rebirth of earth and its crops. In spring, everything is renewed and reborn in nature. Flowers bloom and trees blossom. 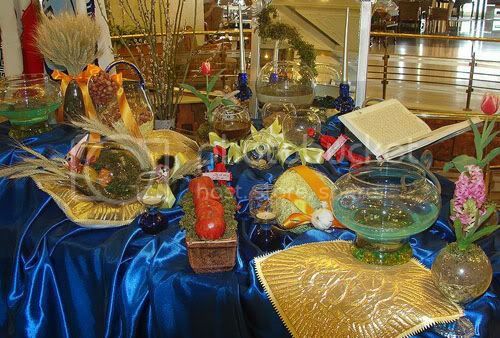 The preparation for Noruz starts well in advance and lasts for 13 days. A couple weeks before arrival of Noruz, Iranians clean their house which called Khaneh Tekani, literal translation means “shaking your house”. Like nature in spring, this symbolizes throwing out old things and bringing new things. Also, you buy new things for your house or for yourself. The most enjoyable part of Noruz for Iranian children is probably going shopping and purchasing new clothes. In Iran, shops before Noruz is very crowded, similar to christmas in western world. Another preparation you do is planting seeds. Wheat or lentil seeds are used to make Sabzeh, symbolizing rebirth. 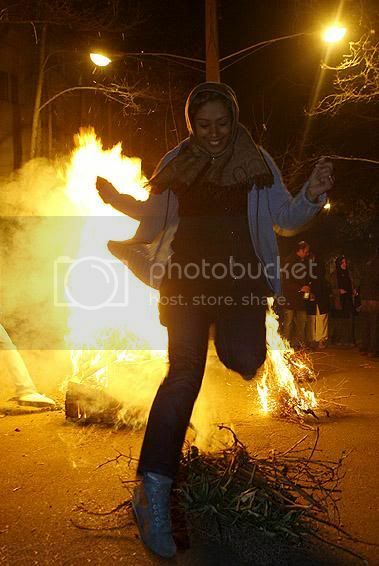 On the eve of the last Wednesday of the old year, called Shabe Chahar Shanbeh Suri, people gather on the streets in their neighborhood or even in their own backyards and jump over a fire while singing the phrase below over and over. The flames represent good so you jump over the fire to take away the bad luck. You sing “sorkhiyeh to az man, zardieh man az to” which means give me your healthy red glow and take my yellow color away. After jumping over the fire, children usually go door to door in their neighborhood “ghashogh zani”, banging on pots with spoons. Kids cover themselves so they cannot be known, knock on the doors and get treats. 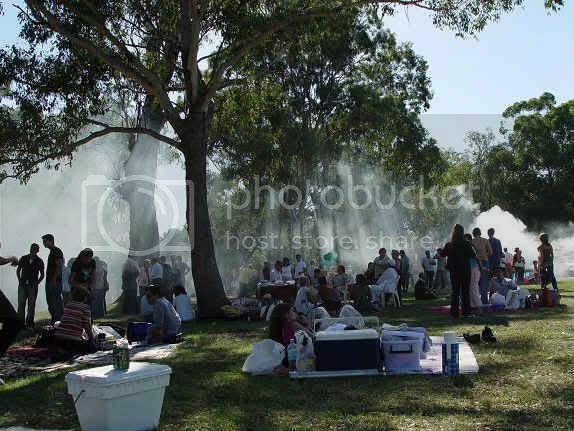 On the 13th day of New Year called Sizdeh bedar, everyone goes to picnic (It is considered unlucky to stay indoors on 13th day). You throw the Sabzeh (wheat or lentil seeds you grew for haft-sin table) in running water, to remove the bad luck from your home of the previous year. It is common to eat a special noodle soup for Sizdeh bedar.